Yes, I finished the game, what can I say? I loved it!!! it's definitely one of my faves together with Kingdom Hearts games and Final Fantasy XIII, but is my favourite game of PS3, =). what I love is the battle system, the characters and the story, the original soundtrack, it's beautiful...yeah...everything. however there is one annoying thing is the search for the ingredients around the world, it's to find them such as slumbernot leaves, wetstone, you can go back kinda later, once awhile appears again, it's best after we finished the game, to busy yourself with the side quests and mini-games (Casino and Colosseum), but it's good so you can explore the world, it compensates. This game will be my first atempt to make platinum in the trophy collection in my PS3, yes, I loved the game very much. in general what I liked most about the game in general, sure I loved everything in it, it was special the progress of the story, it always kept me excited, wanting to play more, find out more about the characters, specially key characters (such as Alicia, Shadar, Oliver, Pea, White Witch and Zodiarchy), their connections to the story and their backstory. 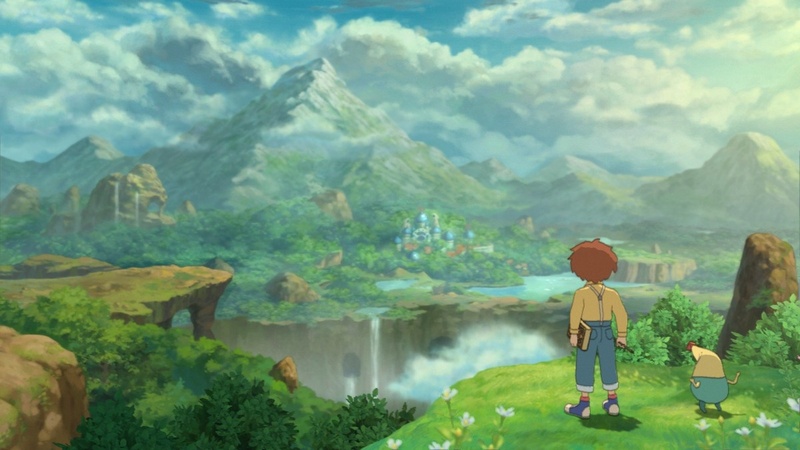 Ni No Kuni is the second game that what most fascinated and attracted me in a game was the story, the first being Kingdom Hearts.